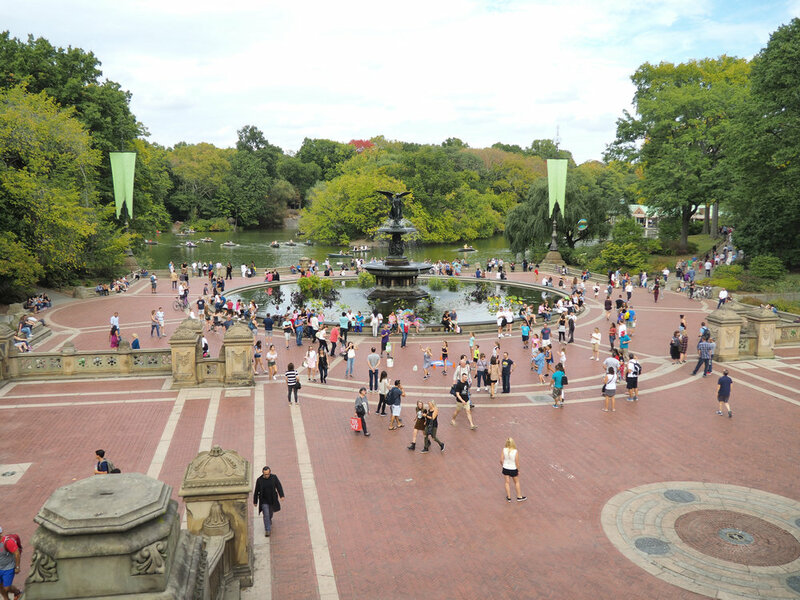 October is the perfect time of year to visit New York City. In my opinion the best way to experience the city is walking which is a lot more enjoyable in mild weather! 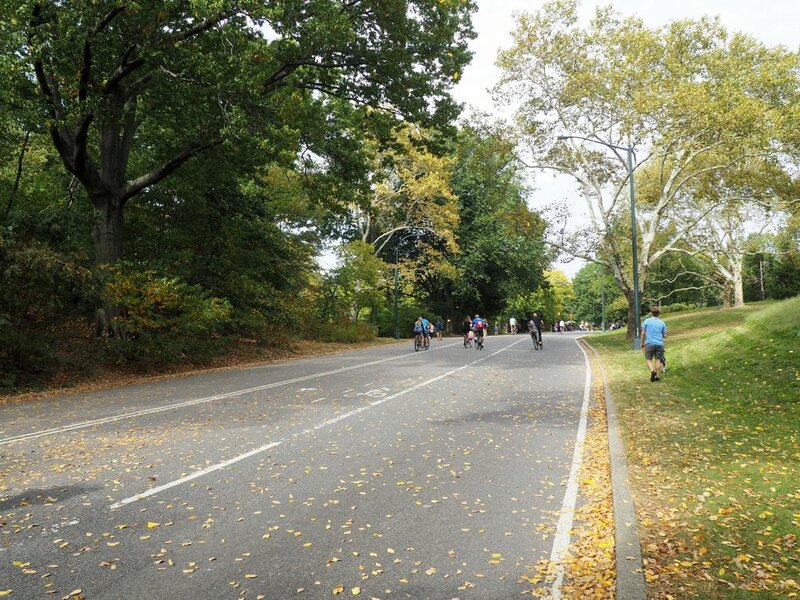 We had the best time biking through Central Park! Although we had visited the park before, we had never covered the entire loop. It's surprising how much there is beyond the more well known spots on the south end. We picked up the bikes on 80th and it was easy 5 minute ride to the park. We ate at Sarabeth's on the Upper West Side which was near the bike rental shop. The meal was incredible! Definitely make reservations in advance. We were there around 2:00pm on a Saturday and the restaurant was packed. After returning the bikes, we decided we hadn't had enough exercise so we walked from 80th to 30th street where our hotel was located. It took a few hours but I truly think walking is the best way to experience the city and different neighborhoods. One of the many places we walked past was the Late Show theater. We stayed at Arlo NoMad which we booked on Hotel Tonight. It had an interesting vibe because it felt upscale but everyone there looked they were in their 20s or 30s. The room was TINY (150 sq. feet) but also the most functional space I've ever seen. 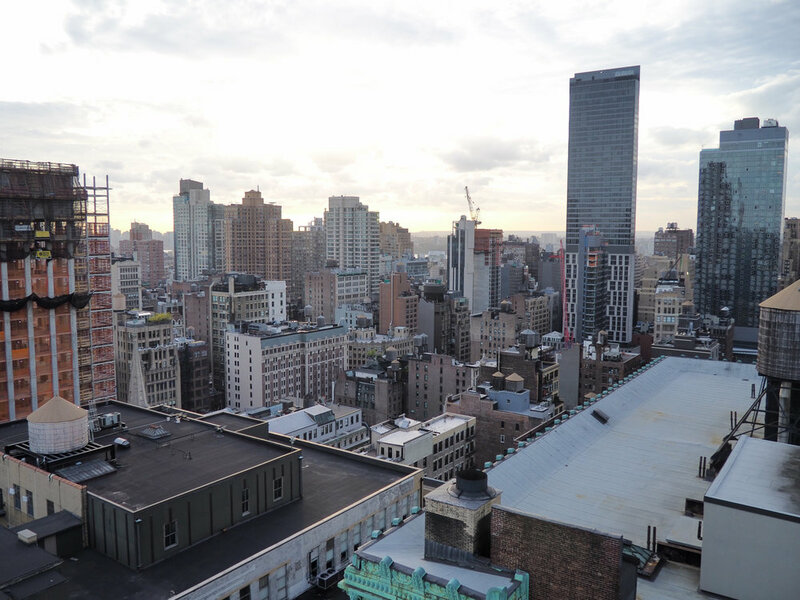 The best part about the hotel was the rooftop. The views were incredible. Our favorite part of the trip was enjoying drinks while watching the sunset over the city. Even if you don't stay at the hotel, I highly recommend going for the views. Definitely one of our best finds yet in NYC. The following day we visited the 9/11 Memorial and Museum. The museum is so well done and so powerful. One particular part of the museum that stood out is the room where they have a photo of every person who was killed. Sixteen years later it's just as hard to comprehend the shock, evil, and terror our country experienced. I highly recommend visiting the museum. We spent two hours there but could have spent more. Be sure to download the museum's app so you can listen to guided tour narrated by Robert Di Nero. 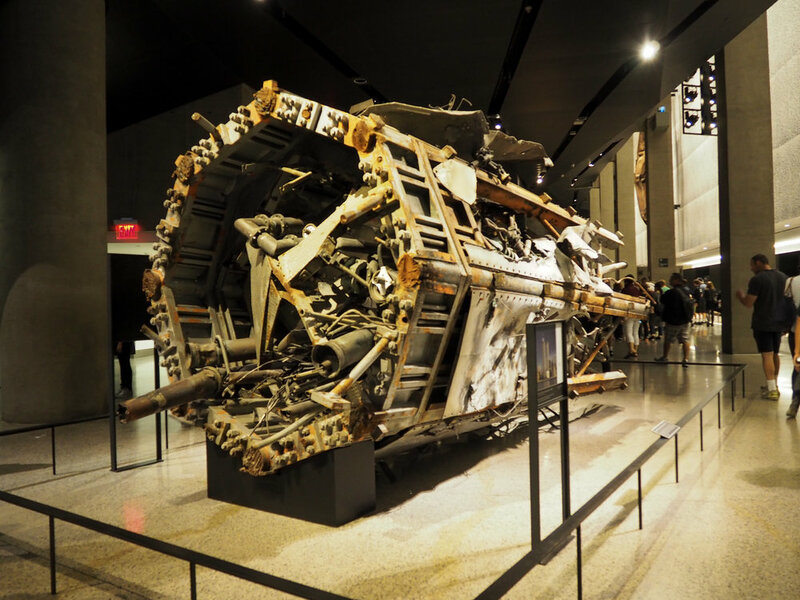 A fragment of the transmission that was stop the North Tower. This fragment is just 1/20 of the entire structure. That's a wrap on our 36 hours in NYC! My third trip and each time I fall more in love with the city!